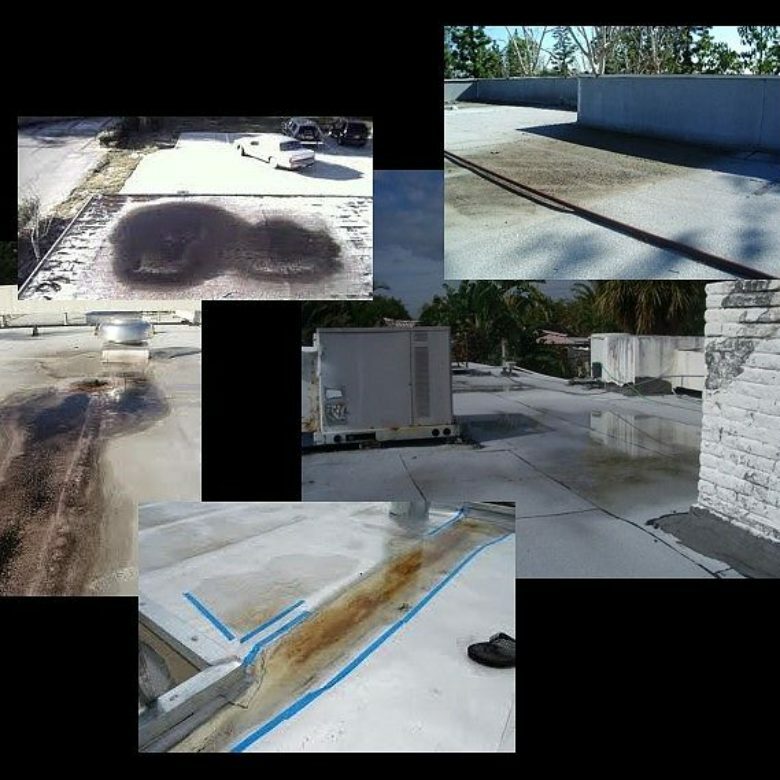 Roof coating and membranes serve a vital purpose for buildings and enclosures with flat roofs. 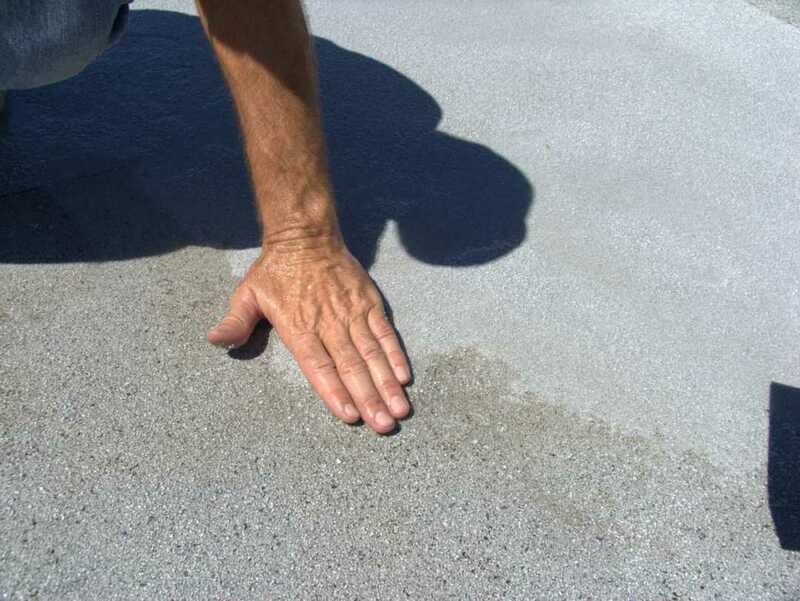 Membranes and coatings are designed to create a strong seal to prevent leak when water begins to build. The different types of coverings can be overwhelming and confusing so here is a breakdown of the basics for each one. 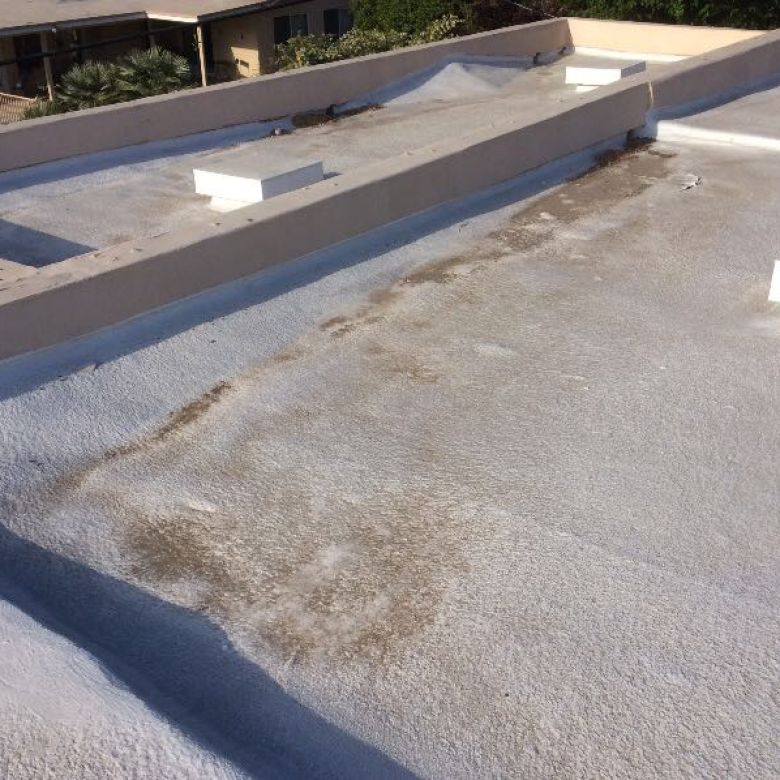 This is one of the most common types of membranes used on flat roofs. It is typically white in color and has a rubbery feel. TPO is thin compared to other membranes, usually around 1.1-2 millimeters in thickness. When being attached to the roof material, it is either nailed or glued on. Used since the 1960s, PVC membranes are popular for their easy installation and cheap cost. They are typically found in white but can be bought in gray, tan, and crème colors as well. Some companies even produce the membrane to look like regular roof shingles. The material is fire-safe and works well in the heat, but it is not the best option in areas with lots of snow or rain. PVC is noticeably thick, around 40-100 millimeters depending on the manufacturer with a smooth finish. This membrane is a mix of Ethylene, Propylene, and a bit of Diene Monomer (EPDM). Colors can vary from black to gray but it almost always has a smooth feel because it doesn’t contain surface granules. 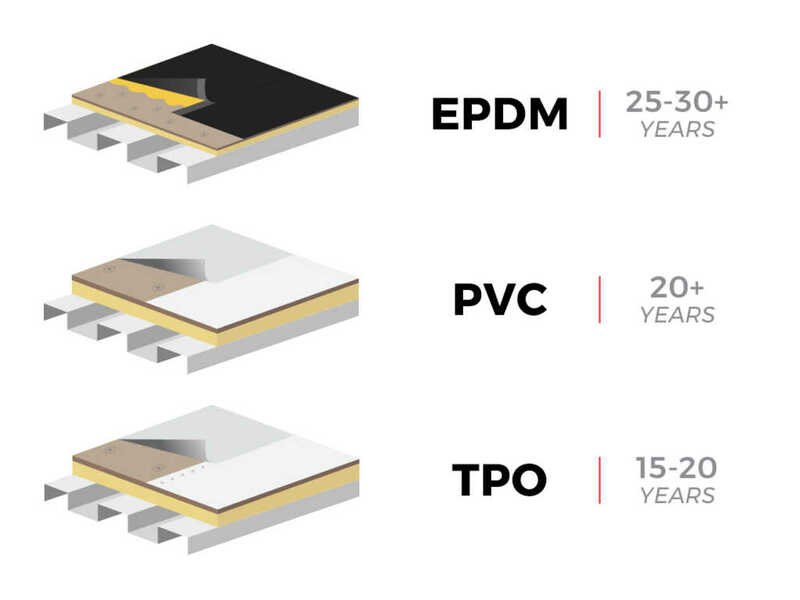 Unlike TPO and PVC (single-layer membranes), EPDM materials have no shelf life meaning it is easier to keep in the garage in case you need to make small repairs. It is also one of the thinnest materials having a thickness of only .41-.90 millimeters. SBS is a synthetic rubber membrane that is rubbery like bubble gum, it may even seem sticky during hot weather. It can be produced in a number of colors but the most popular are brown, black, gray, and white. The texture can be rough or smooth depending on if granules were used or not. 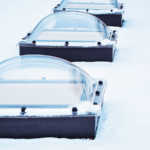 Unlike other membranes, it can be applied with a cold application or with heat. Atactic Polypropylene is often confused with SBS plastic asphalt because they are both modified bitumen membranes. APP is a synthetic plastic blend that, like SBS, can be a variety of colors and textures. The biggest difference between the two is the installation process. It must be applied with high heat and usually turns into a waxy liquid like a melted candle. It is easily punctured, so it is important to know if you have an APP membrane to avoid accidental holes or tears. Acrylic roof coating looks like paint, but it is so much more important. They take on the texture of the material they are being attached too. It is applied in 5-10 coats to reach a thickness of about 15-30 millimeters. Unlike membranes, there are no seams because it applies in coats, not sections. Acrylic coatings are white or crème in color. Polyureas coating is similar to acrylic coating in color and texture, but the material is very different. It is much thicker, meaning thick layers are set in one or two coats instead of ten. The material can also be applied through a spray, not just painted. Spraying one layer can give anywhere from 25-40 millimeters of thickness. Unlike acrylic, there is no tape needed on the fasteners. This coating is not an organic coating like the others, but that means it does not wear off as easily. The white color has a distinct glossy look while others have a flat matte. The thickness is normally 15-20 millimeters which applies in one coat due to its high solid volume. 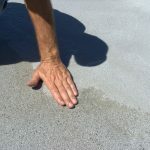 Figuring out what type of roof coating or membrane you have will aid in coming to a conclusion of how to solve your ponding water issues along with any other repair that may be needed. If you need more assistance, please feel free to contact us.